KIITEE Application Form submission is online. Interested candidates can apply through link given below. First, they have to read complete details of Kalinga Institute of Industrial Technology Entrance Exam (KIITEE). KIITEE is the entrance exam for admission to several programs in the university including engineering and technology, architecture, nursing, arts, design, science, computer applications. Application form can only be filled online. Offline forms were not available. 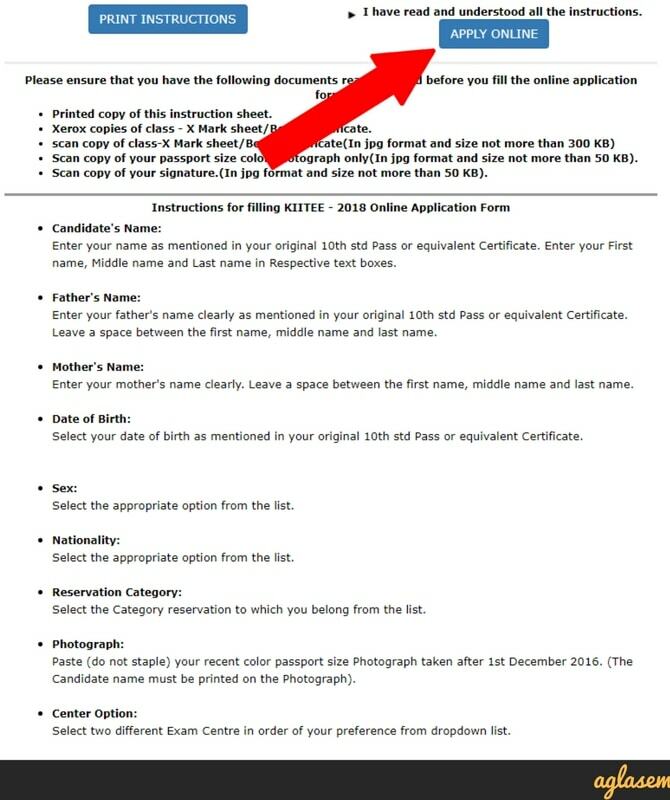 Go through details of KIITEE application form such as how to apply, fees, documents to be uploaded, and then proceed to apply. KIIT University offers all programs except medical/dental through the entrance exam. KIITEE application form must be submitted as per official schedule. 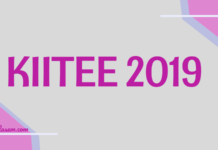 KITTEE Application Form 2019 is now closed and should be submitted by last date. Click Here to Apply. Candidates may note that one does not have to pay any fee to apply for KIITEE. This is one the best things about KIITEE application form. There are many students in India who are concerned about the hefty fee amount they have to pay at the time of applying. Usually, a single candidate applies to 5-8 exams, with an average fee amount of 1000. Since KIIT Bhubaneswar does not charge any fee, it comes a big relief to all its applicants and everyone appreciates this step taken by the university. Now, no student is deprived of the opportunity to appear for a national level exam because of its fee. 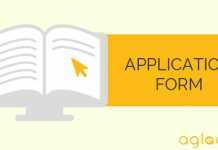 A very long window is available for applying, but after the last date, KIIT will not accept any form. The link to apply online shall remain active from start date to end date of form submission. In this time, candidates can visit apply online page in order to apply. Steps to apply are as follows. 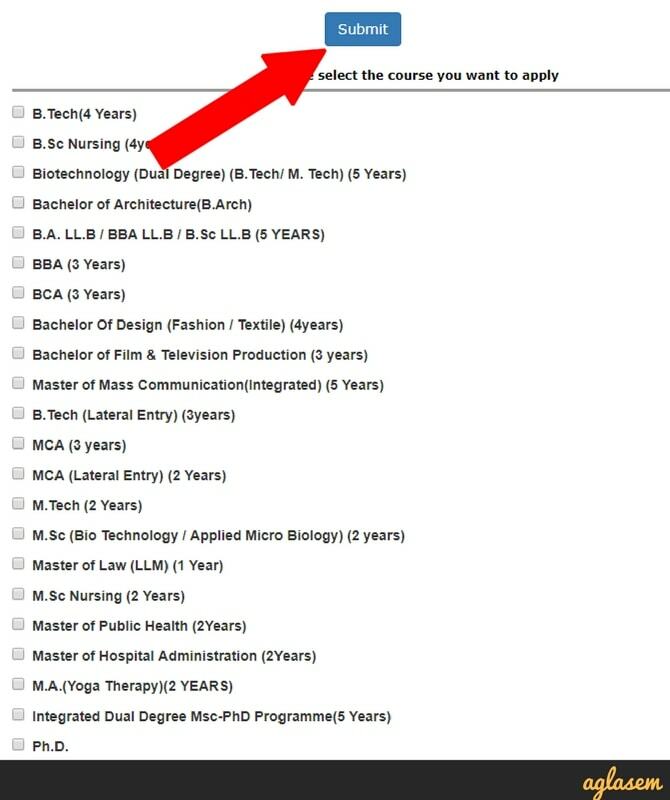 When you click the apply online link, you go to the course selection page. This page has two this. In the first half you can select courses. In the second half there are valid combination of courses. Click “submit” button once done. Now you get all instructions to apply as well as eligibility for each program. Read them carefully. After above step, you will now fill following details in KIITEE application form. You have now successfully registered for KIITEE. Note application number carefully. 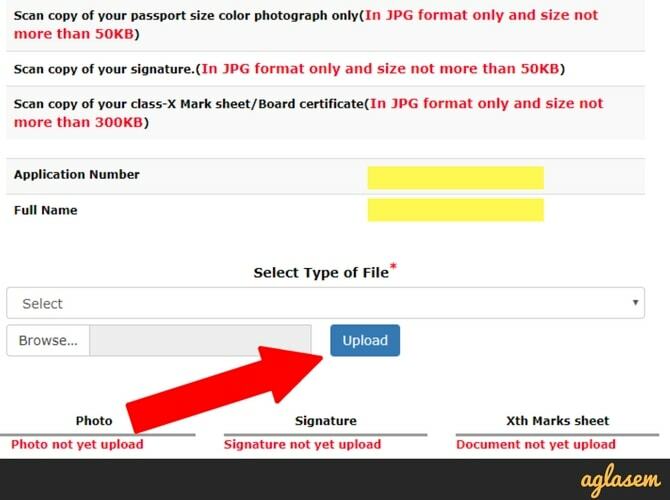 Next thing to do is to upload photograph, signature, class 10 mark sheet. Upload them and then print application form. There is no need to send the form to KIIT. When you select centres, the form displays dates on which KIITEE will be held for courses applied in that city. Also it shows dates on which you have to do slot booking for KIITEE. Make sure to visit kiitee.ac.in for slot booking at that time. Specifications of images are like this. If you have submitted application form then you may want to check its status. KIIT Bhubaneswar has provided the facility to check application status of KIITEE application form at kiitee.ac.in. In order to check status, you will have to enter application number. 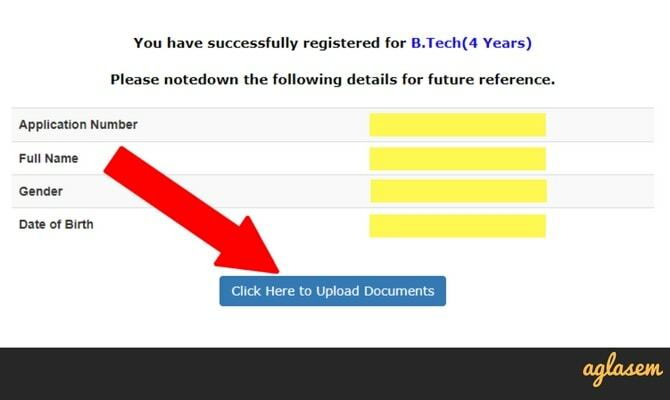 You can, at any time, login and upload documents. In order to login and upload documents, you have to enter application number, gender, date of birth. But what will you do if you do not remember your application number? Do not worry if you have forgotten or lost application number. You can easily find it online. In order to find application number, you will have to enter first name, middle name, last name, gender, date of birth – exactly as you entered in application form. A number of times candidates make mistakes while filling application form. Then they panic thinking that their form will be rejected and do not understand what to do next. 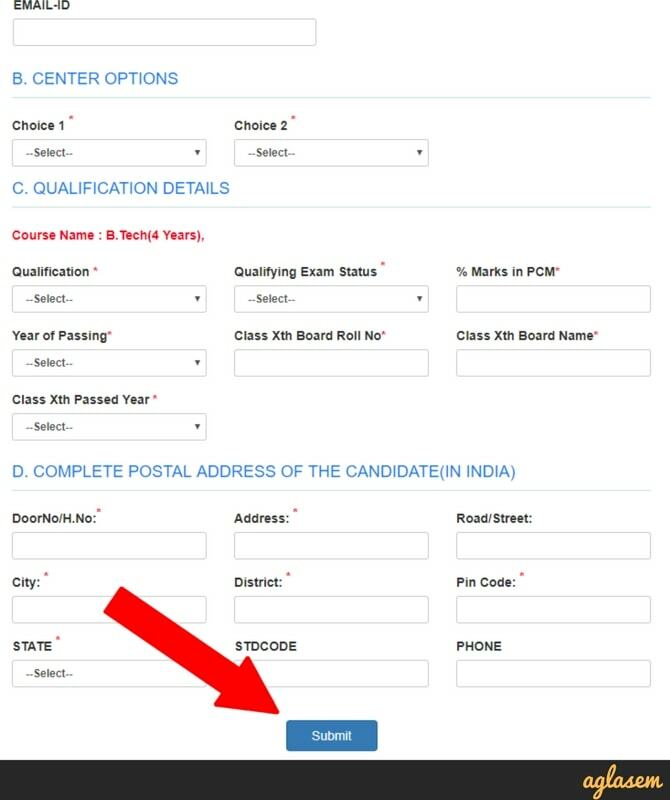 KIIT University has therefore given an easy way for form correction. The method of form correction has been highlighted in KIITEE FAQs. You have to write an application mentioning the corrections to be done in the application form and send it along with the application form. To know more, please contact KIIT Bhubaneswar. This covers all aspects of KIITEE application form. However, since you are here to appear in KIIT Entrance Exam, you may as well as want to know of the exam, how to prepare for it, what happens after applying. After applying, you need to book your test slot. KIITEE slot booking refers to that process where registered candidates log in to the website, at slot booking link, and select the date and slot on which they wish to appear for exam. Date for slot booking is indicated in your application form when you select centre and course. Slot booking takes place over some number of days. In this duration only candidates must visit site to complete this process. Those candidates who have registered can download admit card to appear in KIITEE . Admit card is also known as hall ticket. 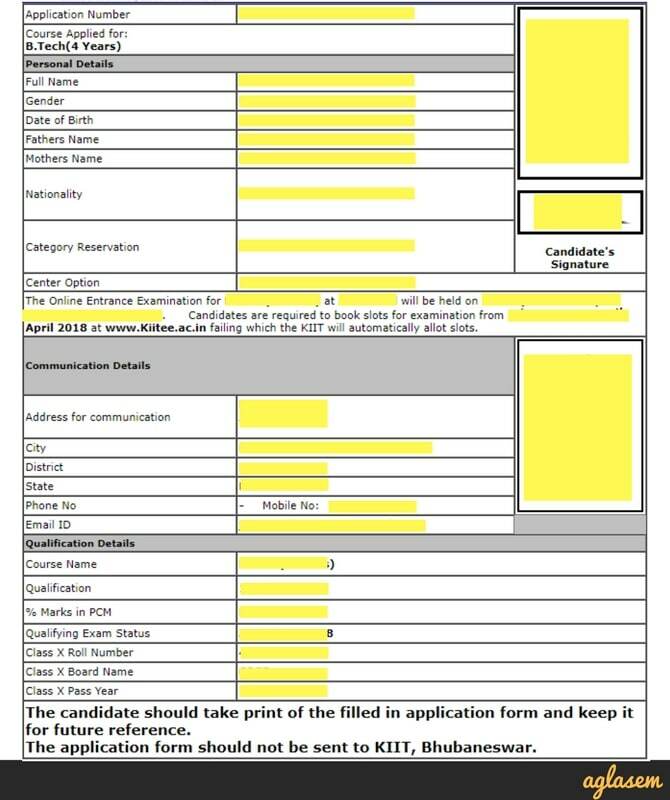 It contains details of applicant as well as test centre assigned. It is important to carry the admit card along with other important items. Without it, one does not get entry into the examination hall to appear for exam. If a candidate does not get his/her admit cardin the given duration, then he/she must contact KIIT. It is important to note that there are specific deadlines to download admit card and contact KIIT about unavailability. 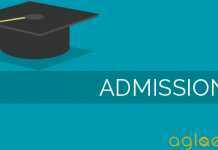 KIIT does not send admit card by post. You should prepare from well in advance for KIIT Entrance Exam. Preparation involves studying all topics from syllabus, practicing questions, and solving mock tests. Know syllabus of KIITE. You can get complete syllabus here. Use best books for those subjects to study topics given in syllabus. Use best books for KIITEEto practice questions. Attempt official mock test to practice exam. KIITEE is a computer based exam. It is conducted by KIIT University Bhubaneswar for admission to a plethora of courses. Admission to all courses in KIIT except MBBS, BDS, PG Medical, PG Dental, are on basis of KIITEE. Is there any issue of not writing the date on the application form? ?